Curious and creative. Direct and efficient. We believe that design is an inherent part of living. It is in our behavior, our choices, our being. It's evident in all parts of our life although we don't always call it design. Michael founded Richards Design Group in 1979. He holds a degree in Communication Design from the University of Tennessee-Knoxville. Michael’s passion for design began in his early work at advertising agencies where he developed a love for typography, creative messaging, and the power of connection. He has won numerous Addy Awards, including two Best of Show awards. From 1987-1992, he served as adjunct instructor at the University of Tennessee Department of Art where he taught Corporate Design and Design Management, a special topics course to familiarize students with the design process and the power of design in a business context. Michael is a long time member of AIGA, and one of the founders of Creative Alliance of Communicators, which became the Knoxville Chapter of AIGA. In 2013 he became an AIGA Fellow. Other membership have included STA (Society of Typographic Arts), the Design Management Institute, and the Association of Professional Design Firms. He is active in the community on the Board of Midway Rehabilitation Center and the Advisory Committee of the Communication Graphics Technology program at Pellissippi State Community College. Tim joined Richards Design Group in 1996. His early career was rooted in Pennsylvania where he attended the Art Institute of Pittsburgh and LaRoche College. Following graduation, Tim interned with Riddle Johnson Design Consultants before working with Allegheny General Hospital. In 1991 Tim relocated to Knoxville and worked with Morris Creative Group (formerly Renaissance Communications Group). He is the recipient of numerous Addy Awards, and his work has received recognition in Print’s Regional Design Annual. Working with Dalen Products, Tim has extensive experience with packaging and point of purchase and product branding. He has worked with the various brands of Oldcastle Architectural Products and presently works with Husqvarna USA. 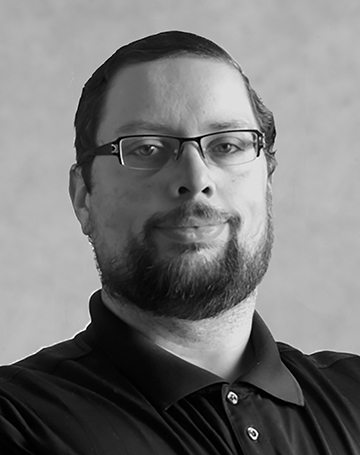 With a solid foundation in design principles, James is our web development leader. He began as browser capabilities began expanding allowing for the growth of website sophistication. He is skilled in front-end web design, responsive design, user experience, social media, and search engine optimization (SEO). He has developed CMS sites using Drupal, Wordpress, Joomla, and Squarespace. James is working toward Google Adwords Certification. James joined Richards Design Group in 2004. He holds a degree in Communication Graphics Technology from Pellissippi State Community College. During his time at Pellissippi he provided tech support for students in the computer lab. As a curious person, Bailey is constantly doing research and drawing inspiration for various media - film, music, fine and contemporary art, theater, literature, and podcasts. She calls upon the connection between other artist’s work and her own ideas to create solutions for our clients. Bailey is detail oriented, organized, and works efficiently. She specializes in print, and supports print projects with graphics for social media. She is fluent with Adobe Creative Suite, and many Microsoft and Apple applications. She is developing her expertise in web design and development and working toward Google Adwords certification. Bailey began with Richards Design as a paid intern in 2010. 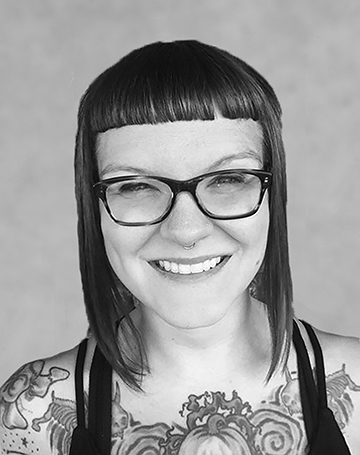 She holds a degree in Communication Graphics Technology from Pellissippi State Community College, and assists in portfolio reviews.